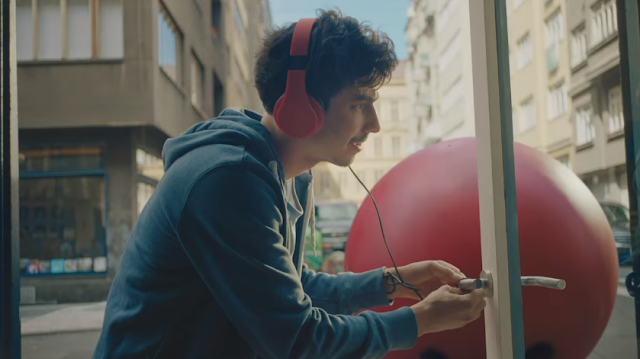 JBL and BBH New York present a new spot for the recently unveiled JBL Everest Wireless Headphones, where viewers witness the humorous consequences that traditional, wired headphones can have for their wearers. The commercial depicts a chain reaction of epically disastrous events that should leave viewers in no doubt that JBL Everest Wireless Headphones provide superior sound and convenience. Building upon the success of last year's JBL CordFail campaign, this ad will be accompanied by components across Twitter, Facebook, Instagram and Vine. Additionally, five Vine influencers will reenact consumer #CordFail submissions during the run of the campaign. The new line of JBL Everest Wireless headphones are revolutionizing how people listen. With best-in-class ergonomics and bluetooth enabled wireless audio, users can experience the same incredible JBL quality sound the brand has been delivering for over 70 years. JBL Elite products let you customize your listening experience with NXTGen Active Noise Cancelling and TruNote Technology – allowing you to adjust outside noise to your liking and calibrate music to your individual ears, so you can experience authentic, true-to-life sound.